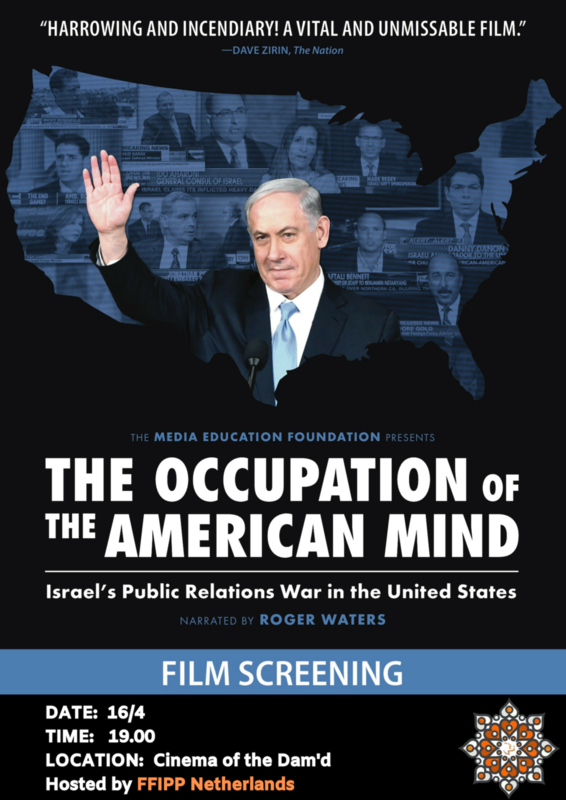 In light of these events, FFIPP Netherlands is hosting a screening of the film "The Occupation of the American Mind" in Amsterdam, Netherlands. Narrated by Roger Waters and featuring leading observers of the Israeli–Palestinian conflict, the film explores how the Israeli government, the US government, and the pro-Israel lobby have joined forces, often with very different motives and interests, to shape American media coverage of the conflict in Israel’s favor. After the film, we invite attendees to engage in discussions about the film and the controversy surrounding it.